The kingdom Animalia is divided into many unique subcategories. One of them, arthropods, is characterized by the presence of exoskeletons, segmented bodies, and jointed appendages. Scientists believe that there are over 1 million known species of arthropods alive today, and some of them might be part of your everyday life. Don’t let the scientific name fool you: We’re talking about spiders, cockroaches, and scorpions. In fact, there is a good chance that they’re living under the same roof as you. According to a study scientists from the California Academy of Sciences and North Carolina State University published in 2016, there are 100 different species of arthropods in the average American home. While most people assume that arthropods prefer to form communities in the outdoors, your house is a biome too and these animals can proliferate in your rooms as successfully as they do outside. The vast majority of studies about indoor arthropods focus on household pests, which is an issue because we still don’t have much information about the impact of the other arthropods on human society. When it comes to the formation of indoor arthropod communities, the research concluded that sanination, clutter, and pets have no significant influence. However, the scientists found out that the more doors and windows your house has, the higher the population of arthropods in your rooms. They also encountered more species in carpeted rooms than non-carpeted. 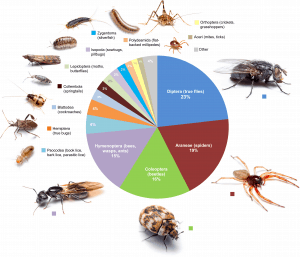 According to the research, these are the most common arthropod orders found in American homes: Diptera (true flies, 23%), Coleoptera (beetles, 19%), Araneae (spiders, 16%), Hymenoptera (predominantly ants, 15%), Psocodea (book lice, 4%), and Hemiptera (true bugs, 4%). As you can see, not all of them are treated as pests, but further studies are important to determine whether they’re harmless or dangerous. 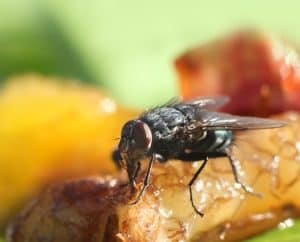 Keep reading our blog to stay current on the new studies about pests and insect control! At Parker Pest Control, we specialize in exterminating termites, rodents, bed bugs, and other pests. Contact us through our website or call us at (800) 324-BUGS and we’ll be happy to help.